Students’ academic achievement is the developmental level in the aspects of knowledge, skills, and affect and attitude achieved by students through learning activities with teachers’ instruction. It is the core indicator of education quality and an important method to monitor the national education quality. It is necessary and urgent to carry out large-scale surveys on students’ academic achievement in order to know the holistic complexion of students’ learning nationally, to find problems and to provide solutions. At present, the function of mathematics is more and more important in people’s daily life and industry, and also for the development of human beings. Therefore, in the curriculum system of basic education in every country, mathematics plays a crucial role. 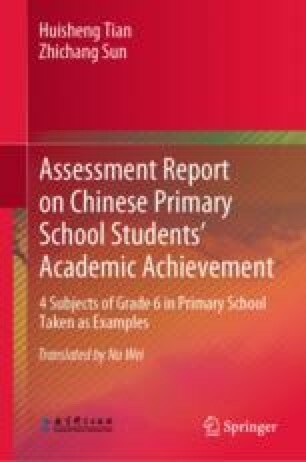 To know students’ academic achievement on mathematics, the internationally influential academic achievement surveys are carried out on students’ academic achievement on mathematics, such as IEA/TIMSS, OECD/PISA, and NAEP in the USA. With this background, the monitoring of education quality in our country should also pay particular attention to students’ academic achievement on mathematics.